Even though Austraflora plants have been selected to handle Australia’s tough dry conditions it’s vital that regular water is applied during a plants establishment, most plants in the range once established will survive on what rainfall we do get, although any extra watering that could be provided through the summer months do help. 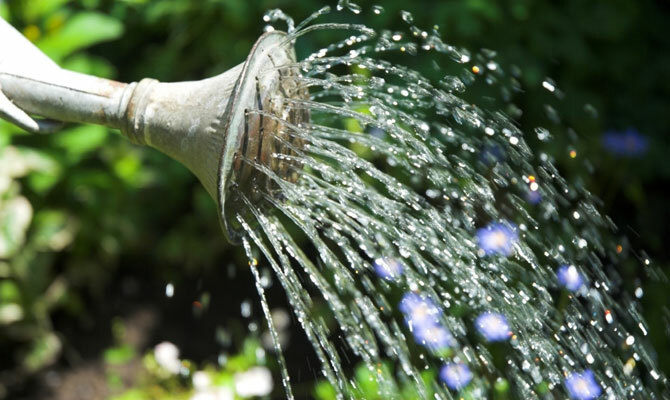 It’s important when watering your plants to make heavier applications of water less frequently. This allows the water to penetrate deep into the soil structure and therefore sending the root system down further, creating a better root structure deeper underground where soil conditions are cooler minimising moisture loss from the plant. The same can be done for pot plants ensuring when you do water that you completely saturate the entire root system. Containerised plant soil temperatures can climb quite high during summer months so ensuring thorough watering when you do get the opportunity will give best results all round. Less frequent but heavier watering also trains the plant to be less reliant on regular water applications therefore hardening your plants to our environment. It is easy, with so much information readily available, to create and retain a lovely garden, knowing you have plants which will attract and assist our native fauna, and at the same time reducing the demand on that essence of life, water.